Each time he finished a new collection of drawings, Max Beerbohm (1872-1956) brought them to the Carfax Gallery for a public exhibition. Located on Bury Street in the fashionable St James district of London, Carfax & Co. was one of the most distinguished and progressive galleries of its day. Founded in 1898, the room was managed by More Adey (1858-1942) and Robbie Ross (1869-1918), both members of Oscar Wilde’s circle of friends. 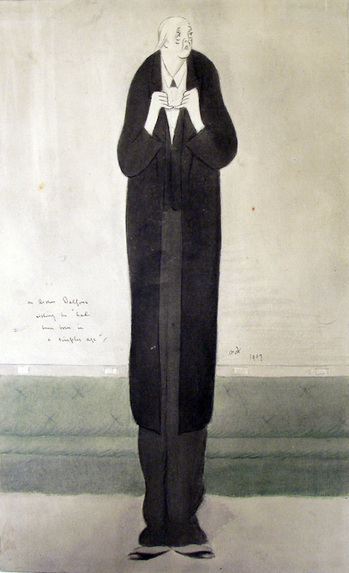 Beerbohm’s exhibitions were mounted in 1901, 1904, 1907 and 1908.